Cleansing your face is akin to a spring renewal, the only difference being that spring arrives only once a year and you get to clean your skin twice a day, making it fertile ground for the actives in your moisturisers, serums, balms or serums. 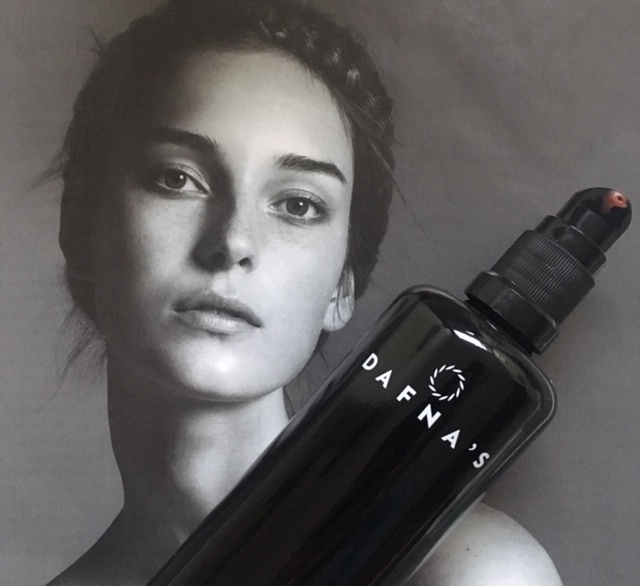 Dafna Shaham, founder of Dafna’s Personal Skincare, considers cleansing a very important element in daily skincare routine and her latest launch, Dafna’s ‘Purify Cleanser’ was developed in order to give you an enriched experience, irrespective of age or skin type. ‘Purify Cleanser’ is a second cleanser for the brand, joining ‘Recovery Cleanser’ ( which is oil-based and works best during the colder months of the year due to its luxuriously indulgent texture ). The new addition offers a particularly sensorial experience with a deeply pleasing & light texture, which when it comes in contact with the skin, gives you a feeling akin to rapture, engaging all of your senses. 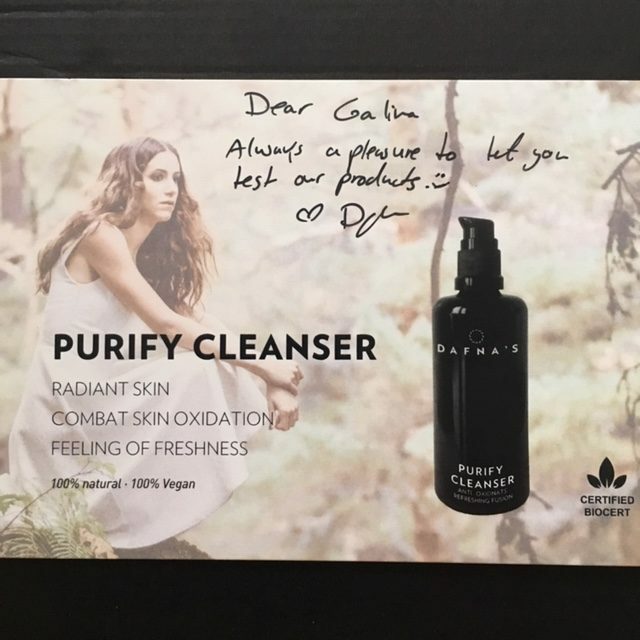 ‘Purify’ is a lighter cleanser than ‘Recovery’ and Dafna carefully considered the need for the skin to be cleansed twice a day, more thoroughly in the evening and with a lighter touch in the morning, while developing her latest product launch. The combination of the two cleansers will allow you to have a richer experience, giving the skin what it needs depending on the season, as well as time of cleansing the skin. Being able to reach people with different skin needs was another important consideration for her as the founder of the brand that places customers needs at the centre of the creative process. Radiant Skin. Combat Skin Oxidation. Feel Fresh. In a way this cleanser is a unique product because it works equally well for mixed skin, as well as drier or more mature skin types. 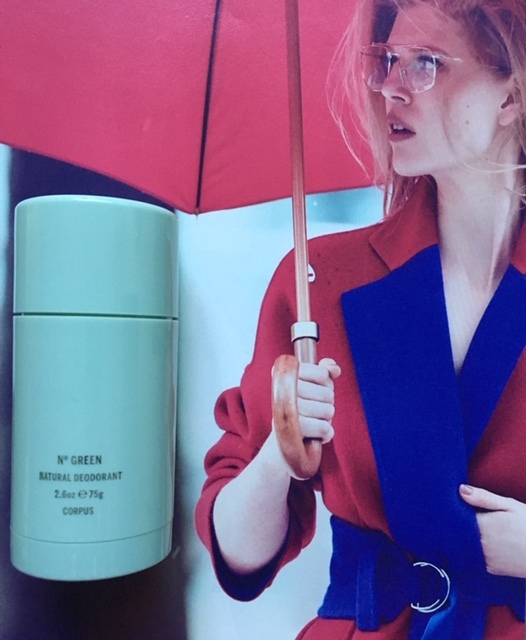 Part of this product’s DNA is that the combination of ingredients is very respectful to the skin’s balance, but their synergy also addresses the negative side of photo-ageing & daily oxidative processes, both becoming more noticeable, hence critical, as we age. With regular use of this cleanser you can expect to see reduction in the obvious signs of ageing. It’s not a magic tool in your skin’s arsenal, but it will help deliver a nicer, more even, brighter look of the skin, with the improvement of the glow that many try to artificially create with the help of make-up. It’s also a good reminder that skin has a naturally healthy glow which starts from within and no make-up product is able to truly replicate that. Giving your skin a proper chance to heal, renew and rejuvenate can actually lead you to use less make-up and not mask it by layering multiple make-up products on top. It’s one thing to try to mask the problem, quite another to use your make-up to enhance your looks and who you are. Indulgently formulated with eight antioxidants & natural oils known for their renewing properties, as well as nutrients like Pomegranate Extract & Geranium Essential Oil, Purify Cleanser also contains MelaCare combination Oil that gently cleanse the skin, remove impurities, unclog the pores, fight daily free-radical damage and the appearance of spots & pigmentation. Another bonus of this cleanser is that it can help reduce the appearance and signs of hormonal acne. MelaCare Oil (Eramanthus Erythropappus Branch/Leaf Oil, Camellia Japonica Seed Oil, Pelargonium Graveolens Flower Oil): helps to brighten and balance the skin. Fights photo-ageing symptoms. Helps control melanin production by blocking its synthesis, so in time skin will become naturally brighter, more even and with the visibly decreased signs of pigmentation. Pomegranate Extract: considered to be a ‘super fruit’ in Ayurveda. Known as a powerful anti-ageing active ingredient thanks to high Vitamin C content. It also gives the cleanser its rich, pinky-red creamy colour, the likes of which I haven’t seen before in natural cleansers. Interestingly enough, this was the first extract that Dafna started formulating with in her 20s. As Dafna was born & raised in Israel, where pomegranates are part of the wonderful symbolisms of the Jewish New Year (a year rich in pomegranates promises to be fruitfully prosperous), she knew that apart from being both beautiful & delicious, it is also one of the best ingredients for the skin due to its hight Vitamin C content. Not surprisingly, Dafna loves this oil as much now, as she did when she first started formulating! Olive Oil: Nurtures the skin, helping keep it smooth, soft & healthy looking. Essential Oils: Geranium is used to help maintain harmonious equivalence & reduce the appearance of spots associated with monthly hormonal fluctuations. Sweet Orange was chosen for its fresh & aromatic scent, as well as skin regenerating properties. 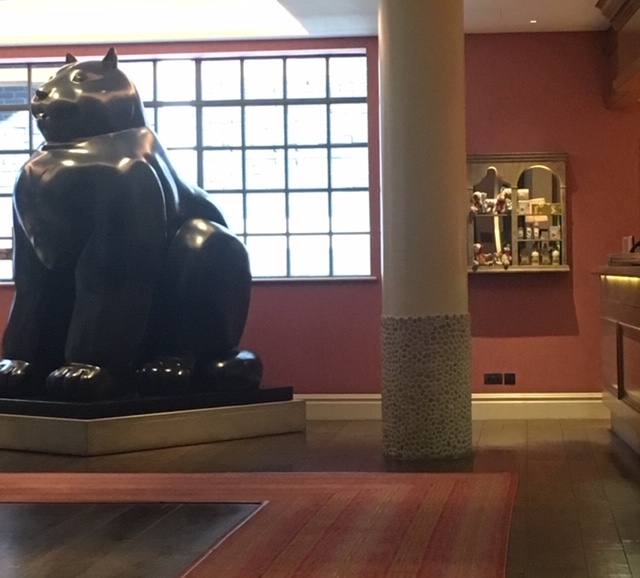 As winter came to a close and we emerged into spring, accompanied by increasingly daunting Brexit uncertainty and the feeling of sluggishness and lethargy, I met with Divya Babbar, Senior Manager of the Ananda in the Himalayas and renowned Ayurvedic Physician, Dr. Shijoe Mathew, who is currently an Ayurvedic Consultant at the Circle, Brighton ( he was previously Senior Ayurvedic Doctor at Ananda in the Himalayas). They both came to London for a couple of days in March to give Ayurvedic consultations on topics ranging from sleep problems to healthy ageing, as well as the new events and elements that Ananda team is adding to the already fast range of services in the Himalayan foothills overlooking spiritual Ganges river. And if you can’t travel to Ananda, Ananda’s team can share advice with you that you can incorporate into your routine at home. The eyes are often called the windows of the soul, but they are also one of the first things to give away our age, emotional state, levels of stress, sleep patterns and lifestyle, so no wonder that many brands are launching a variety of products aimed at looking after this particular area of our face. Dark circles, dryness and diminishing collagen levels are something that women notice and fast in the eye area. 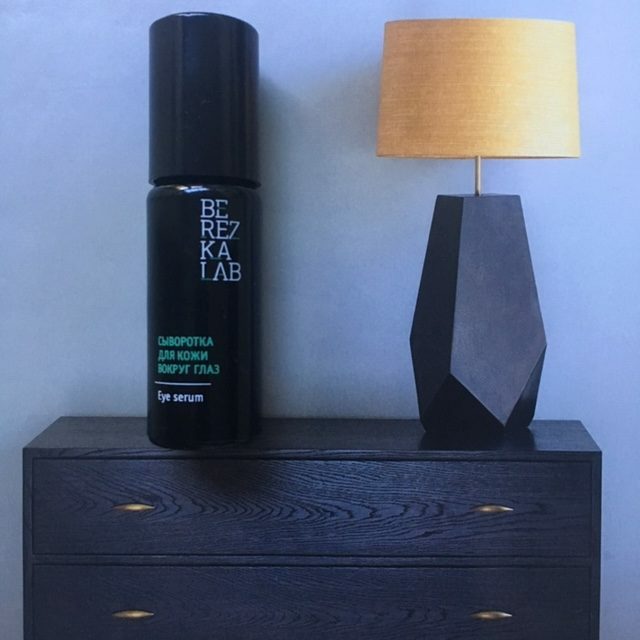 When Russian luxuriously green beauty brand Berezka Lab launched their first eye product a few months ago, I was intrigued. Having used their Eye Serum for about a month, I am now a delighted convert. With lack of sleep, late or broken nights, the first thing you notice are the dark shadows that lay claim to your under-eye area. While make-up and expertly applied concealer can definitely mask the problem, addressing the cause, making the lifestyle changes when possible (you can’t switch the volume off the crying baby or tell a sick child, who paddles into your bedroom saying the tummy ache is bad, that your beauty sleep comes first) is the first step. The second is finding the right eye care product for you. Dana, founder of Berezka Lab, is a mother of three, and with her brand growing and expanding its retail footprint, she knows all about tiredness. 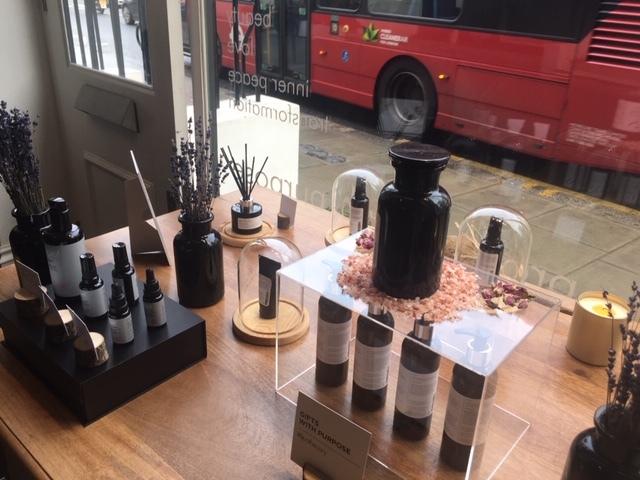 With practical experience under her slim belt and multiple customer requests, she set out to create an eye serum that will revitalise, brighten, restore firmness and resiliency, while intensely moisturising and protecting delicate eye area. A tall order, I say! For ease of application, she encased the serum in a glass bottle with a rollerball applicator – no mess, no oxidation and a cooling effect when you need it. 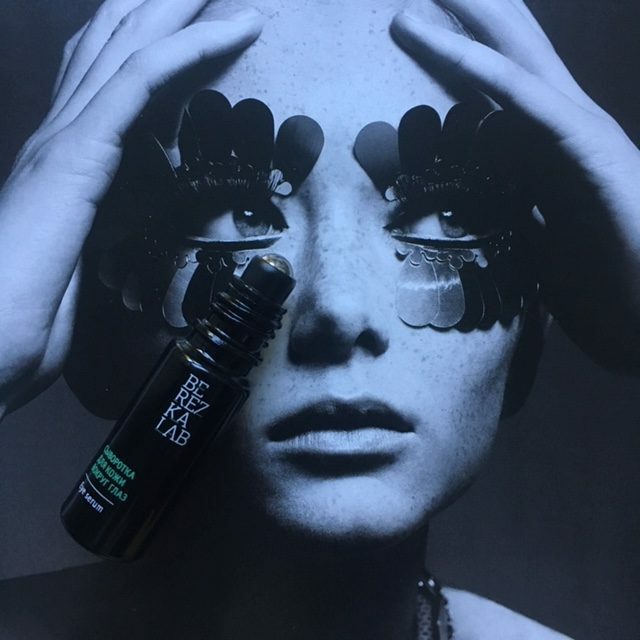 Formulated with the 100% ingredients of natural origin (also organic, wild-crafted, vegan and without the GMO), the serum is akin to a light oil that almost instantly sinks without a trace into the delicate, clean & dry skin all around the eye, never leaving behind an oily residue. All you need to do is roll it from the corner of your eye clock wise once and voila, let me magic begin. Tip: sometimes I also ‘re-trace’ the movement of the rollerball with my little finger in order to boost the circulation & make the product work even more effectively. 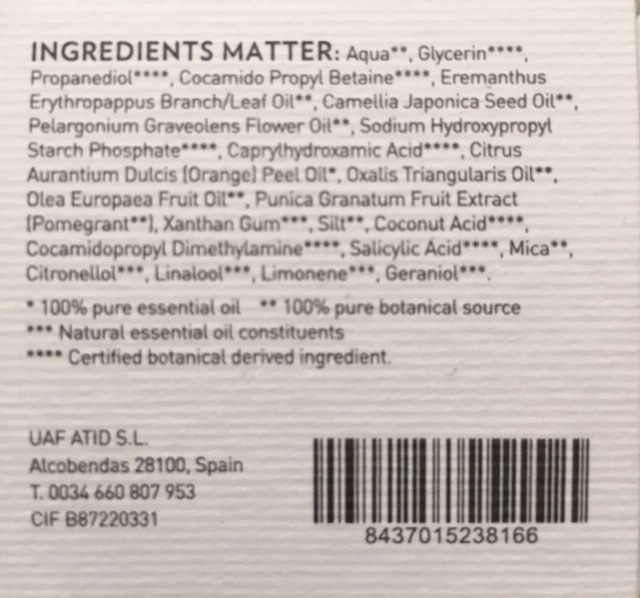 Dana has a very interesting selection of ingredients that she combined in this product – some you might be already familiar with, others surprising and rarer, like Birch Leaf Extract & Siberian Cedar Sap & Oil, ingredients that are native to Russia and hence unique in their qualities and effect on the skin when used in skincare formulation. In fact, I can’t remember seeing those two jointly in any European or American skin products (let me know, if you do). Jojoba & Macadamia: decrease dark under-eye shadows, minimising the appearance of small wrinkles due to age, sun exposure & natural face movement. Nowadays instead of greeting each other with a ‘hello’, people are more likely to lament how fast-paced life is and how exhausted they seem to be feeling. While this does hold true in many instances, re-framing our mindset and having the tools at our disposal to address subtle emotional changes is something that can help prevent a minor problem from turning into a big one. New trio of additions to the ‘Beat The Blues’ range from Ilapothecary were in fact developed in order to put those tools at your disposal. Their launch in early February, considered to be the lowest energetic month of the year, wasn’t surprising. What is surprising is how multi-dimensional their effect seems to be on the mind & body, once they come in direct contact with your skin or your senses. 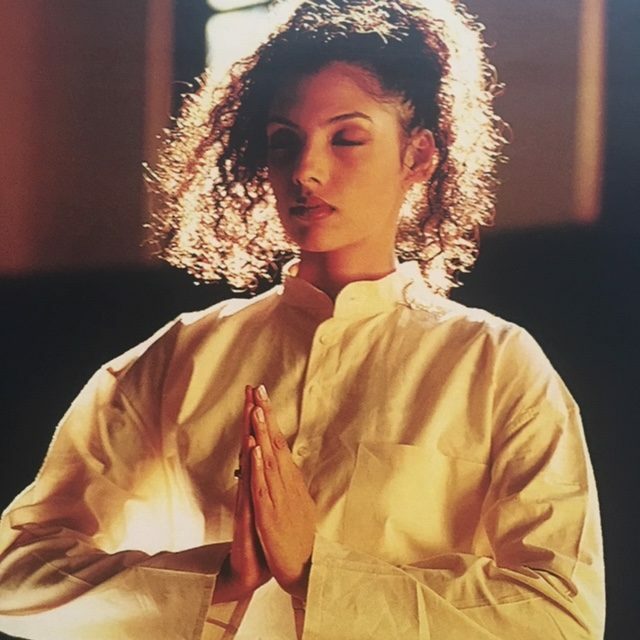 Denise Leicester, founder of Ila Spa, Soul Medicine and Ilapothecary is a petit woman with an incredible inner reserve & knowledge, as well as multiple professional qualifications under her belt. 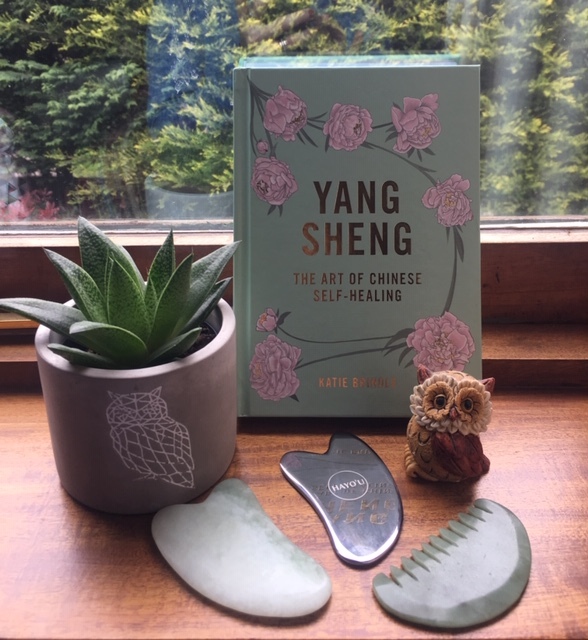 A former nurse, yoga teacher, healer and aromatherapist, she is also a singer with a voice of an angel and a tireless creator of products that have a potential to become instant classics. 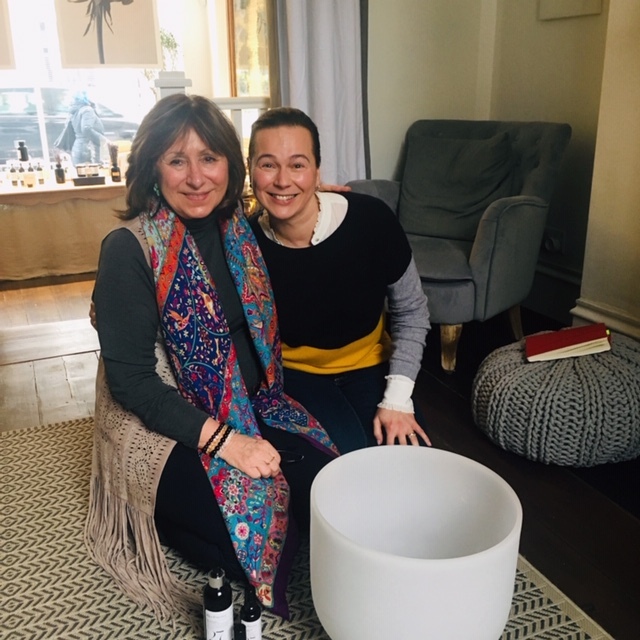 In early February she & her team hosted intimate gatherings to introduce the products, so they could be better understood and described, as well as the sound bath to complete the experience. To spend time with Denise is the best remedy for the mind, body and soul if you ask me, with the effect of her words & her singing lasting for hours, if not days. 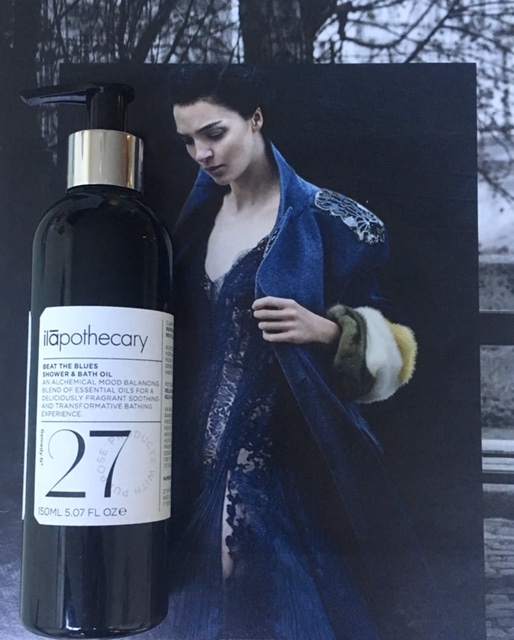 Joining the ‘Beat the Blues’ signature collection is the ‘Beat the Blues Shower and Bath Oil’ – an alchemical, mood-balancing blend of essential oils to revitalise and clear the mind, as well as the ‘Beat the Blues Pulse Point’ – a therapeutic, mood-balancing blend of essential oils that boost self-esteem, ease frustration, revitalise and stimulate happiness. There is also ‘Beat the Blues Room Spray’ that helps to clear the atmosphere and make your work place or home more peaceful energetically. At the time when I started to look into using more natural deodorant formulas, few were available & they didn’t look (or smell appealing). I wanted a reliable solution to my roll-on, but I certainly wasn’t going to go primal and rub salt crystals into my armpits. 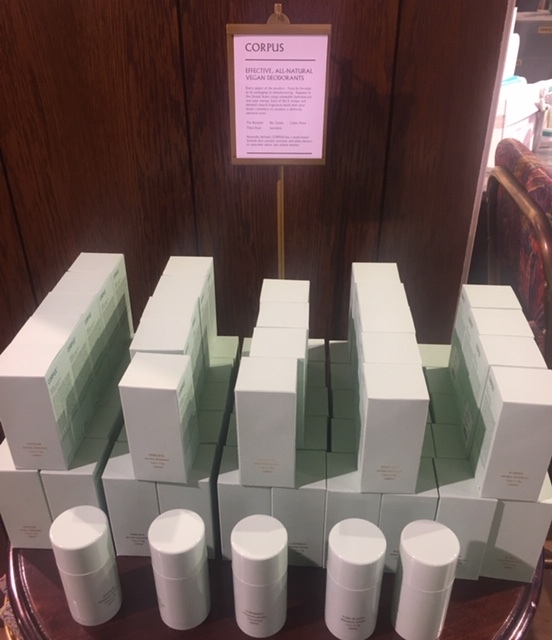 Luckily more and more women were joining the conversation and brands responded, from green beauty pioneers like Weleda to more recent entrants like Natural Deo Co, Soapwalla, Aurelia Probiotic Skincare and now a US vegan brand Corpus, that landed on the beauty hall shelf at Liberty London in January. 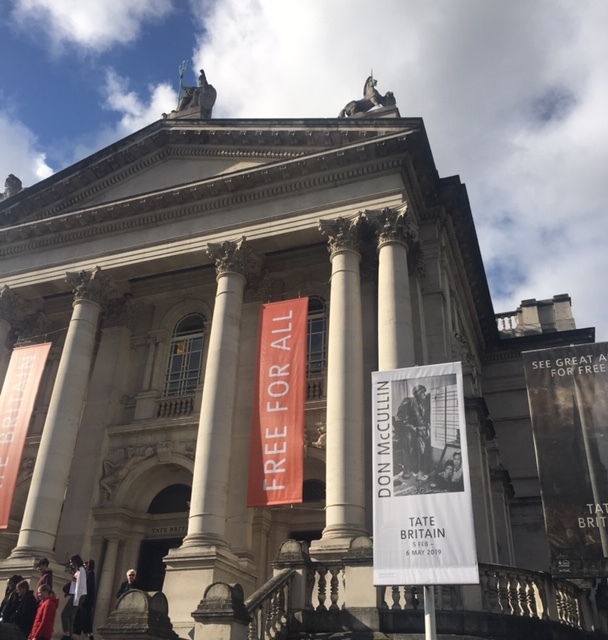 Softly launched in July of 2018 in LA and quickly selling out, Corpus re-launched in October of 2018 in the US and in January in London, as well as in Europe. Distinctly packaged in unisex mint green paper boxes & sustainably manufactured (utilising renewable solar & hydroelectric energy, as well as using recycled materials for the box and deodorant case) from naturally-derived vegan ingredients, it attracts your gaze. 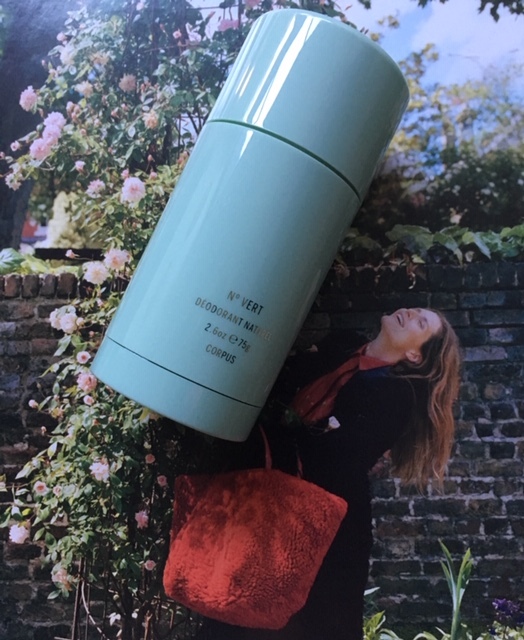 When I unscrewed the lid, deodorant appearance reminded me of my father’s favourite Issey Miyake deodorant roll-on. 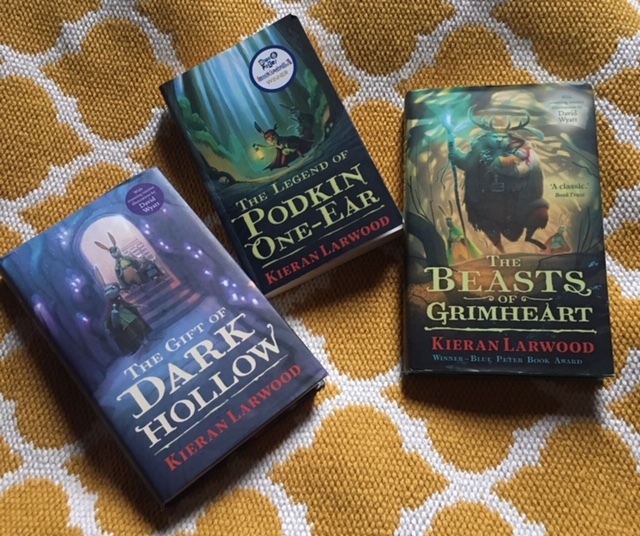 But there is more my dear reader! There are currently five Corpus deodorant sticks. Choose from Santalum, Third Rose, Cedar Flora, No. Green & the Botanist ( I was torn between the last two and decided to go with No. Green & its sophisticated bergamot, pink lemon, orange blossom & cardamom fragrance notes). 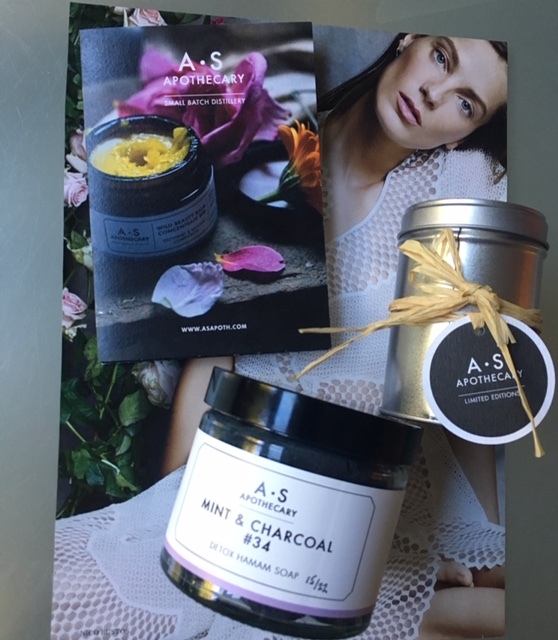 The brand consciously choses to use naturally derived vegan ingredients, layering essential oils & isolates with fresh & intriguing fragrance palate. Each fragrance blend (which are created by blending of derived enzymes and plant extracts) is intriguing on the nose and apart from a more feminine ‘Third Rose’, the four deodorants scents would be equally appealing to men and women. Upon application the scent settles on the skin, but best of all, the efficacy of the formula is long-lasting, whether you lead a sedate lifestyle or a fast-paced one. It’s also worth noting that Corpus doesn’t use baking soda in their formula. Something that many customers will appreciate, as unfortunately many people start reacting to baking soda deodorants sooner or later. Having never been ‘sensitive’ to that ingredient myself, last summer all of a sudden I developed red, itchy patches in one of my armpits and after they refused to go away, I went for a check-up with GP, who said it was a skin reaction and nothing more sinister than that. 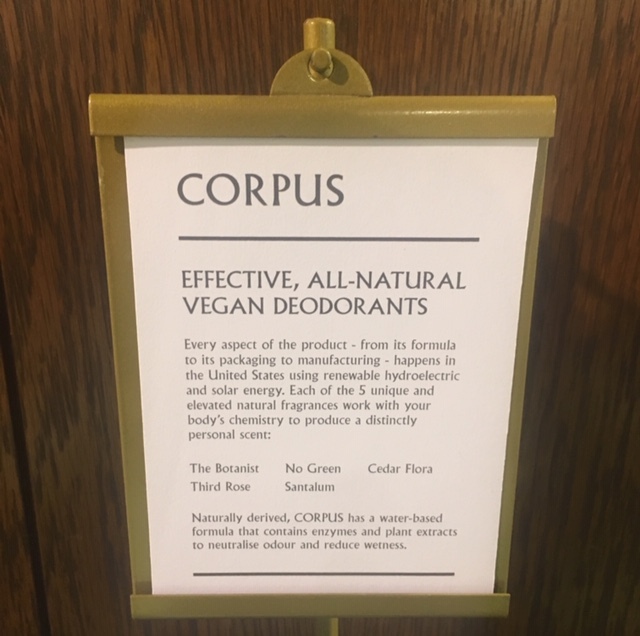 This of course prompted me to explore the alternatives, as all of a sudden natural deodorants that I adored and that I came to rely on had to be relegated to the back shelf. I am happy to report that my ‘sensitivity’ to baking soda has since subsided (my regular swimming in sea in the summer probably aggravated the problem), but I am glad to have experiences what I have, as when it comes to this issue I can now offer practical solutions depending on the preference. 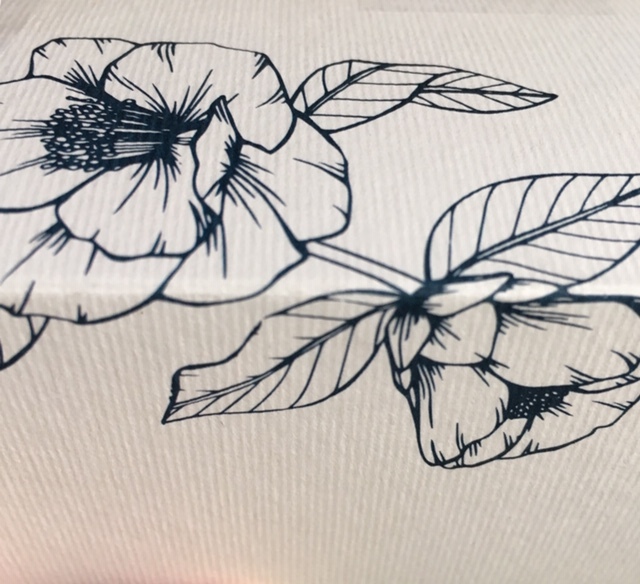 As packaging plays an important part in our perception of the brand, I reached out to Corpus to learn more about this aspect of their design process. Currently they use a plastic applicator, which is made from a combination of new & recycled plastic (both post-industrial and post consumer) and it is 100% recyclable. 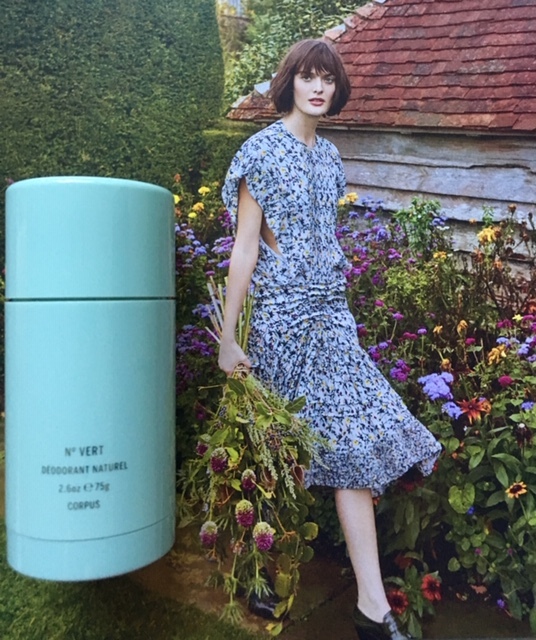 The outer packaging, the box into which each deodorant is packed for transportation & displaying purposes, is made using sustainable forestry and recycled pulp. Brand’s philosophy is to evolve towards green solutions whenever possible, and as new sustainable alternatives become available, Corpus plans to adopt them. Top Tip: apply this deodorant to clean, dry skin because applying it to moist skin will dilute the product & decrease its effectiveness. Sweating is as necessary for our body’s function, as breathing, but most of us don’t want to smell of our own sweat. The problem is that many mainstream deodorants contain parabens, PEGs, hormone disruptors like fragrances, petrochemicals and aluminium or its compounds. The latter has been linked with breast cancer (I am not a scientist to agree or refute that fact, but it is certainly something worth considering, when choosing a deodorant). Ultimately you need to read the list of ingredients and consider potential pitfalls in terms of your long-term health. While doing research on Corpus Naturals, I was assisted by their helpfully responsive team and below is a small Q & A to give you additional insights into the inner world of the brand.